KANSAS CITY, Mo. 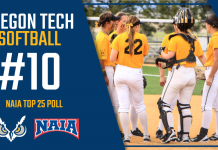 – The National Association of Intercollegiate Athletics (NAIA) has announced the 2018 Softball All-America teams, selected by the NAIA All-America committee. 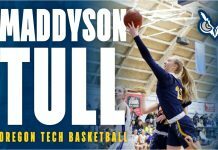 Oregon Tech Junior Ali Graham garnered All-American honorable mention recognition, announced today by the national office. This is the second time in her career that Graham has received NAIA recognition as she was a 2nd Team All-American in 2016. Graham led the Owls in several categories this past season including a .391 batting average, 42 runs batted in, and she had 72-hits that included 10 doubles and 7-home runs. 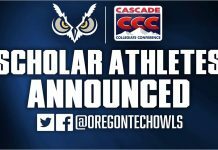 The Cascade Conference had a total of four All-Americans listed this year, led by Senior Catcher Harlee Donovan of Southern Oregon who was named the NAIA Player of the Year, Kelsey Randall of SOU was a second team honoree while CCC Pitcher of the Year Sabrina Boyd of Corban joined Graham on the Honorable Mention list.